Jesus, our Lord and Saviour, bore our griefs and carried our sorrows to the cross. And you know what? 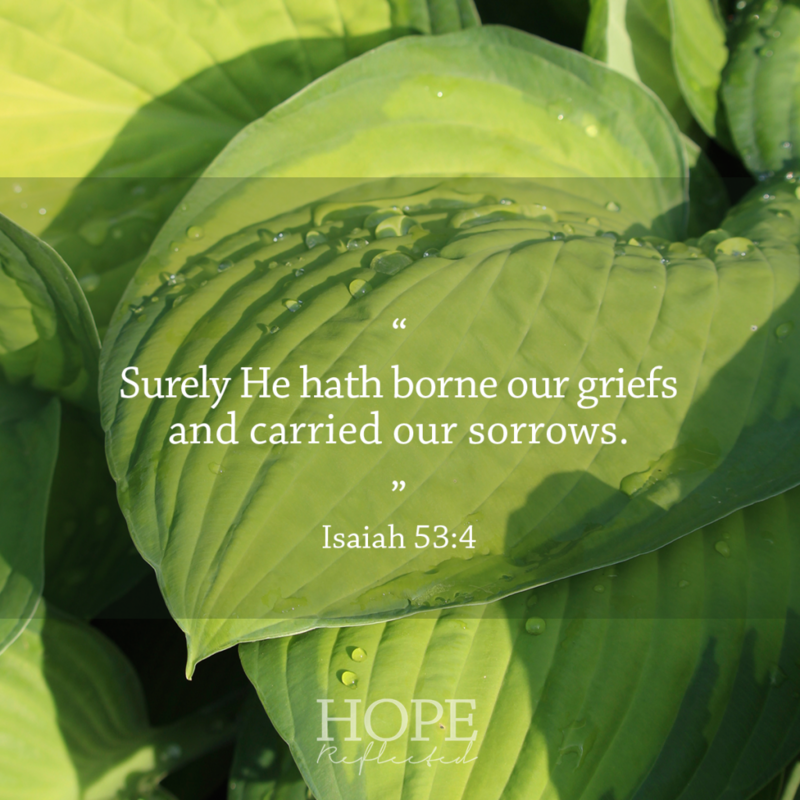 He still bears our griefs and carries our sorrows to this very day. When you have a personal relationship with Christ, you have the privilege of casting all your cares on Him. Although He faced a world that regarded Him as stricken, although He was smitten of God, although He was afflicted — although Christ carried the burdens of the entire earth to that cross, we all know what happened. He rose again the third day. Christ conquered the grave. He conquered our sin. He conquered every insecurity and every fear. All we have to do is put our trust in Him. You are able to give your all to Him, casting all your cares on Him because He cares for you.